Jason Isbell and the 400 Unit, John Berry, Gordon Mote and SiriusXM's Storme Warren have been announced to join an all-star lineup of talent in Jacksonville, Alabama this fall when some of music's greatest voices come together to raise funds for a very special cause. On September 26, 2018, Jason Isbell and the 400 Unit, Mote and Berry will join Alabama, the Charlie Daniels Band, Shenandoah, and Jamey Johnson, for the Alabama & Friends #JSUStrong tornado relief concert benefiting Jacksonville State University (JSU). Comedian Darren Knight "Southern Momma" is also scheduled to perform. SiriusXM's Storme Warren will emcee the event. 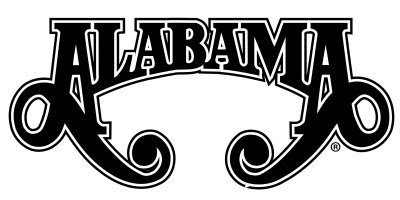 "We are so thankful and blessed that friends of ours, and some from our great state of Alabama, have offered to help raise funds to repair the damage from the horrific tornado a few months back," says Alabama frontman Randy Owen. "The university has been wonderful to work with on helping us setup the concert. From the looks of ticket sales and strong support from sponsors, this will be a very special night for the attendees." Nationwide Insurance (Randy Jones & Associates, Inc.) has signed-on as the presenting sponsor. Platinum sponsors include Dr. Pepper (official drink of the show), Alabama Power, Alfa Insurance, Marc and Mary Angle, Ken and Jenny Howell, and Trycon Tufters. With these generous sponsors onboard to cover the concert's expenses, 100% of the evening's proceeds will go to Jacksonville State University. With 90% of tickets already sold, the event is shaping up to be the year's largest live stadium concert in Northern Alabama. Additional guest performers will be announced in the coming weeks. The rain or shine event begins at 6:00 p.m. CT. Tickets prices start at $25.00 and are on-sale now at Ticketfly.com or by calling 877-4FLY-TIX.